This project comprised a new build state of the art soya and almond milk production facility which incorporated approximately 9,000m2 of production space and a further 2,000m2 of high specification office and amenity accommodation together with all associated external yards, pavings and plant bases. The handover process was complex with multiple phased completions put in place to enable early occupation of specific areas by the Client for process equipment installations and trials. 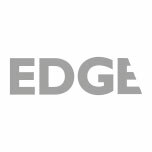 EDGE ensured that the Building Contract captured these requirements and was administered accordingly during the construction phase. The on-site interface between equipment suppliers and the building contract works was carefully co-ordinated by the Client Project Manager with EDGE being responsible for validating and capturing the cost and programme implication of any additional attendances requested by the stakeholders and/or their suppliers as part of the equipment design and installation process. Robust cost management and forecasting by establishing a 'rolling' final account.